Petite Lemon is an illustration, lettering, & greeting card studio. 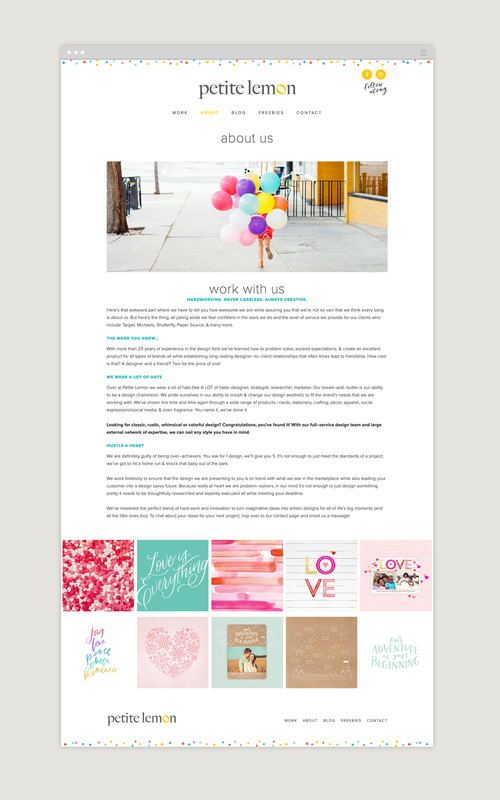 They have a wide impressive range of clients from Shutterfly to Target to Michaels to PaperSource. 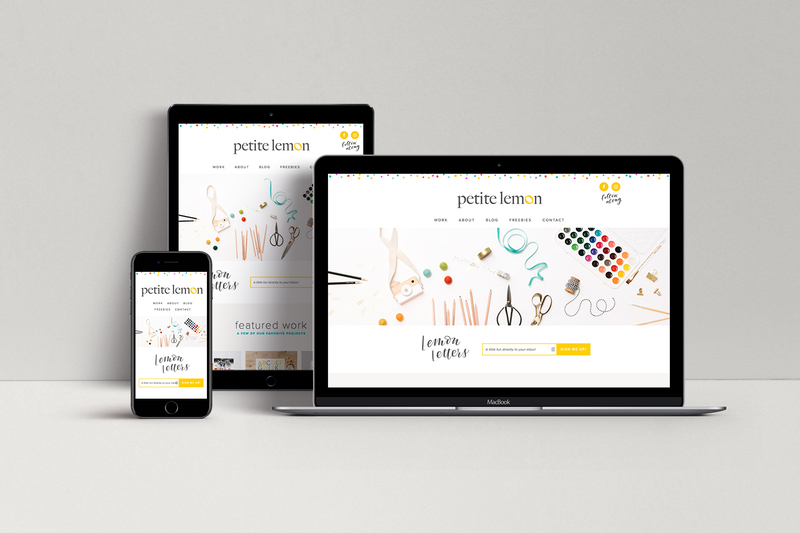 Through a combination of clean design, with pops of color and hand–written details I designed a portfolio website to showcase the colorful and versatile work that Petite Lemon does.